My two friends and I enjoyed a lovely lunch at this restaurant today. I had a delicious seafood risotto, my friends had a pasta with the wild boar and an asparagus risotto. The food was excellent. The service was efficient and friendly. The location offers a little break from the hustle and bustle of a weekend in Firenze. Don' t forget to try one of their homemade desserts. They are to die for. Not only was the food and service excellent, but the waiter made this a fun experience. Recommended by guests at the hotel we were staying at, this was a great choice. 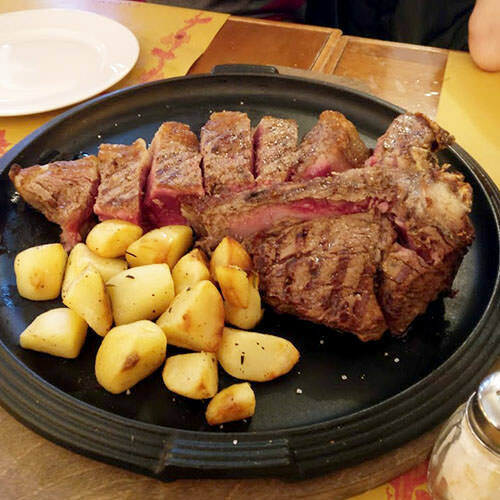 "Great Tuscan Steak and Potatoes"
we were recommended this restaurant by Freda who works at Wilma Firenze. We wanted our last meal to be a Tuscan style steak. We were not disappointed. The meal was great , service was fantastic and Rita the owner was SUPER. Excellent. 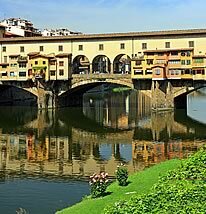 While we were in Florence, after the galleries and sight-seeing, we made a fast trip for shopping. 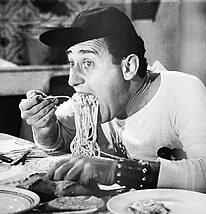 I always like to get 1st hand referrals on restaurants....in this case we were directed to Il vino dei Guelfi by a wonderful woman in a shoe store. This is the "real" thing... Ask for Rita when you enter and you will dine on Home-Cooked Food. Risotto with clams, Lasagna , Bruschetta, you just cannot find anything that is not excellent. I took my customary "walk to peak at the kitchen"....there you will find Rita and a small crew carefully plating each meal. Location...just off the Ponte Vecchio....hidden within a small walking "mall" on Via de Barbadori. It is the place where both tourists (informed) and locals dine. 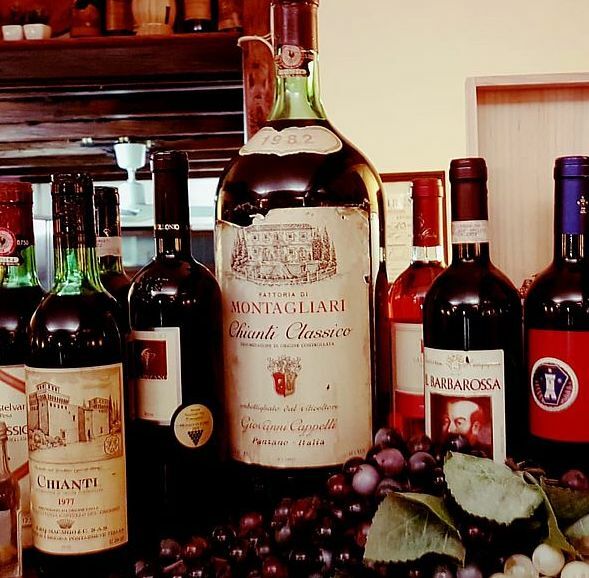 "Ottima trattoria casalinga a Firenze"
Il miglior locale di Firenze e forse d'Italia. Alta cucina, non fatevi ingannare dal menù semplice, l'eccellenza è nelle piccole cose, materie prime di altissima qualità, lavorate dal fresco, sapori unici ed inconfondibili, dolci fatti davvero in casa. Non mi soffermo ad elencare la cordialità dei titolari, delle persone meravigliose, d'altri tempi, come la cura nei dettagli posta dai camerieri in ogni piccolo gesto. Veramente complimenti a questa famiglia che offre un gioiello nel cuore del centro storico di Firenze, a prezzi popolari.